25 teams participate in the 17th year of the tournament. 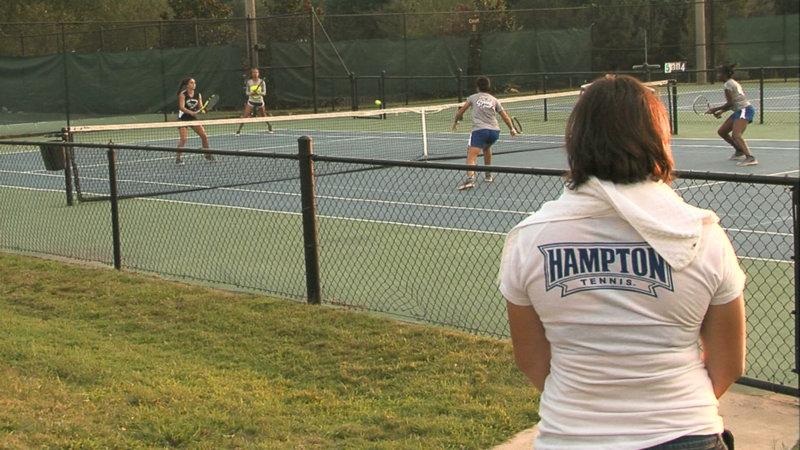 The HBCU National Tennis Championship wraps up in Atlanta this weekend. Football is king in September but this tournament, entering its 17th year, is the epicenter of HBCU tennis for three days every fall. Carl Goodman, the tennis coach at Florida A&M, began the tournament in Tallahassee in the early 2000s, moving it to Atlanta five years later. “We always felt that Atlanta was the mecca. When you look at all the teams, Atlanta is probably the most center point for all the teams to travel,” Goodman said. The hectic hurricane activity kept a couple of teams away this year but 25 teams from 14 different schools still made it. The schools come from 11 different states and from all classifications. Smaller schools like Xavier University of Louisiana, who competes in the NAIA, are on equal footing this weekend with bigger schools from the SWAC, MEAC and even a Tennessee State. Diversity in size is great, but one of the greater goals is diversity in the overall game. Shelly Licorish, the Coordinator for Diversity & Inclusion with the United States Tennis Association (USTA) is happy with what she saw at the South Fulton Tennis Center. “We say we want to make tennis look like America. The HBCUs and the diversity they bring with their teams and players is really, really helpful,” Licorish said. Tennis doesn’t start until the spring, but this fall tournament helps teams get together for competition that prepares them for the “real” season. The partnership with the USTA and other sponsors helps offset some of the costs associated with traveling to the tournament. Most of the meals are taken care of as well which is another cost saver. The tournament’s stability and growth are driving forces for Goodman, however, he also realizes the impact the current experience leaves on today’s players.